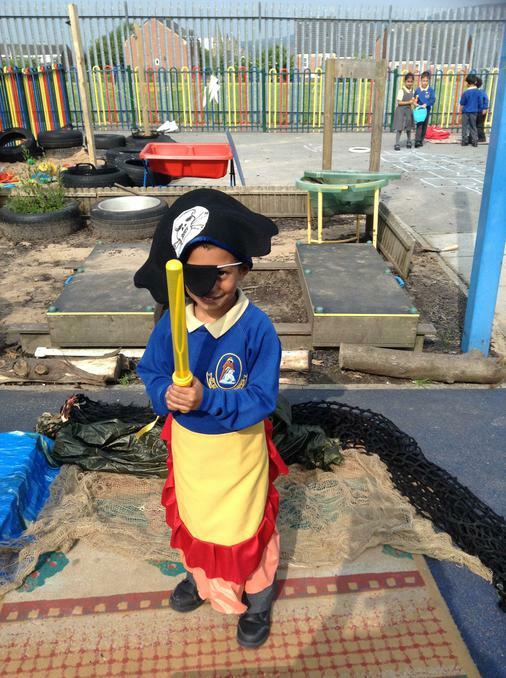 We have had an amazing time this week finding out about pirates. 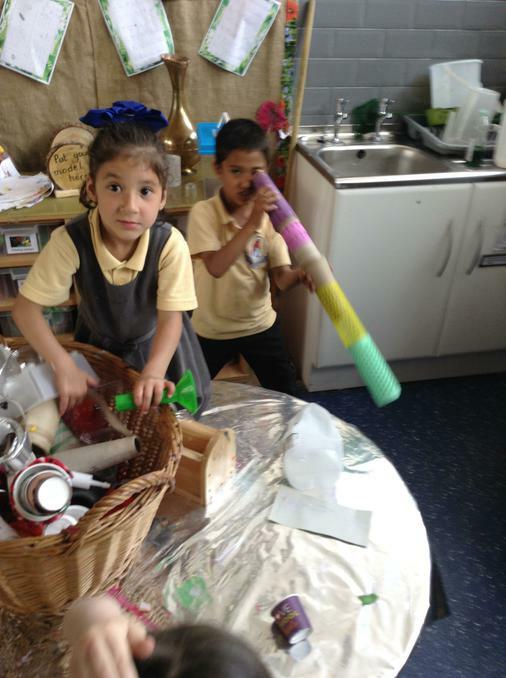 We began by asking 'What do we want to find out?'. 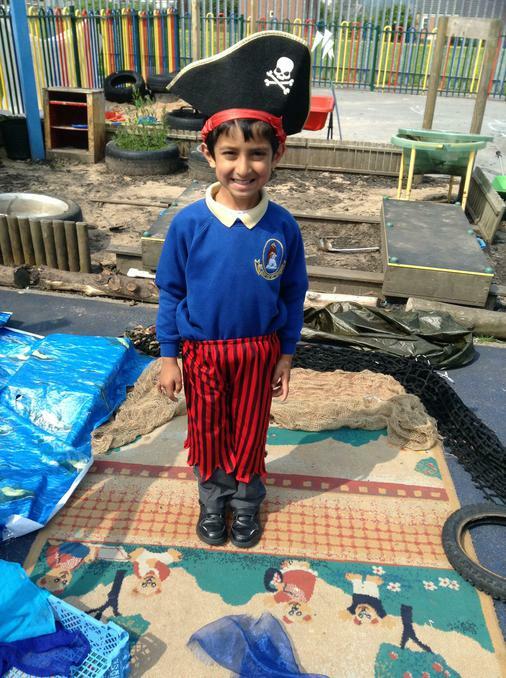 Try asking your child some of these questions and see if they know the answer. 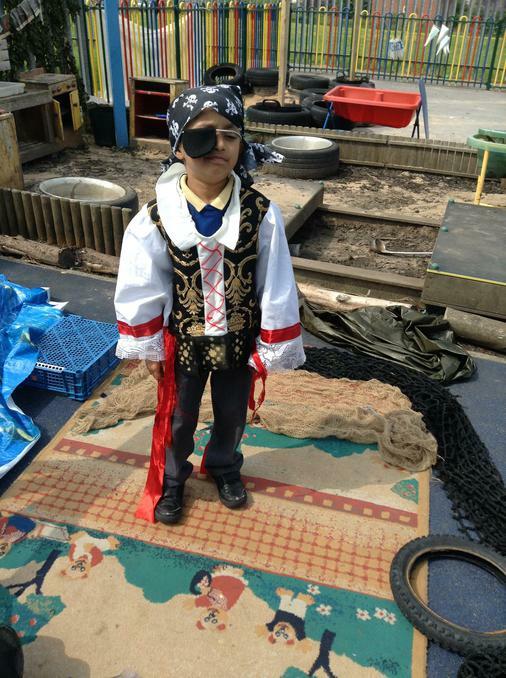 In maths we have been adding and subtracting using pirates and their treasure. 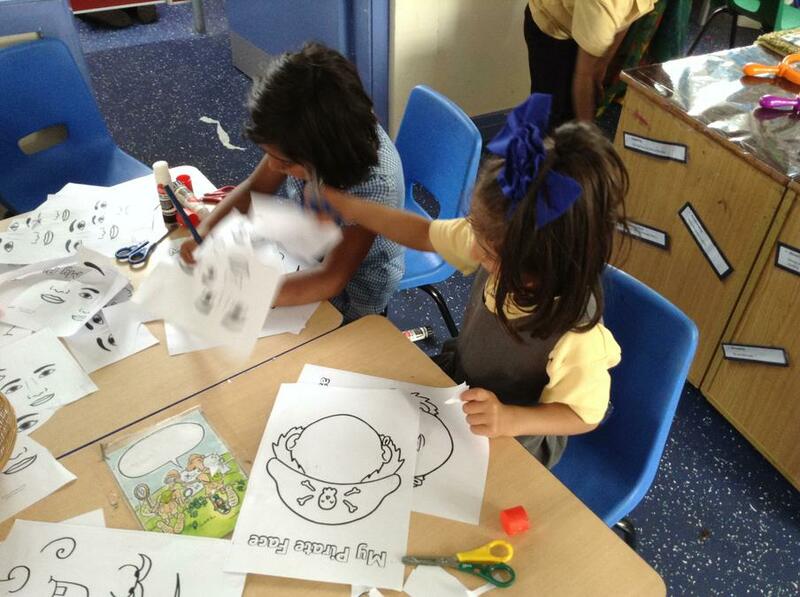 We solved lots of problems to find out who had the most and who had the least. 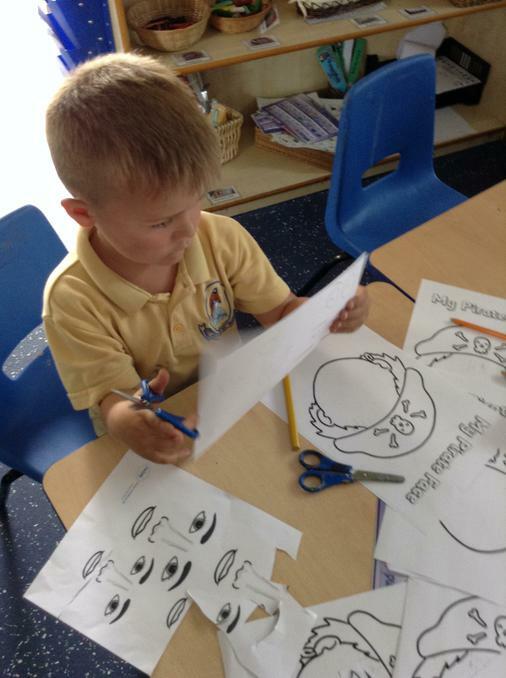 When adding we are learning how to add by counting on. 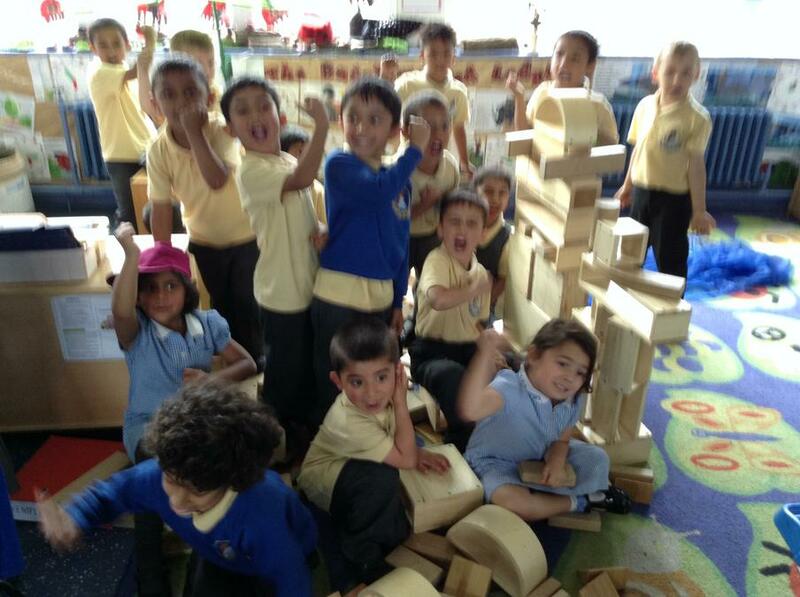 We put the largest number in our head and counted on from this. 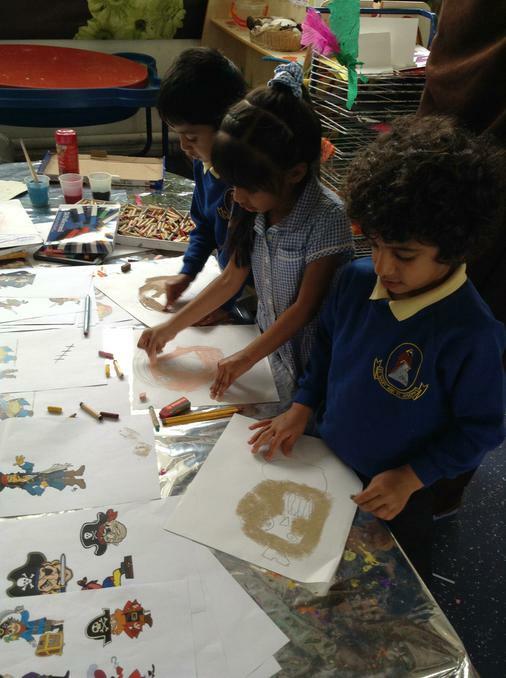 We have also been practising doubling and halving with our treasure. 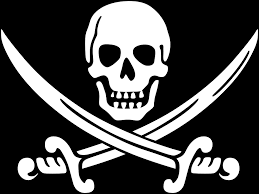 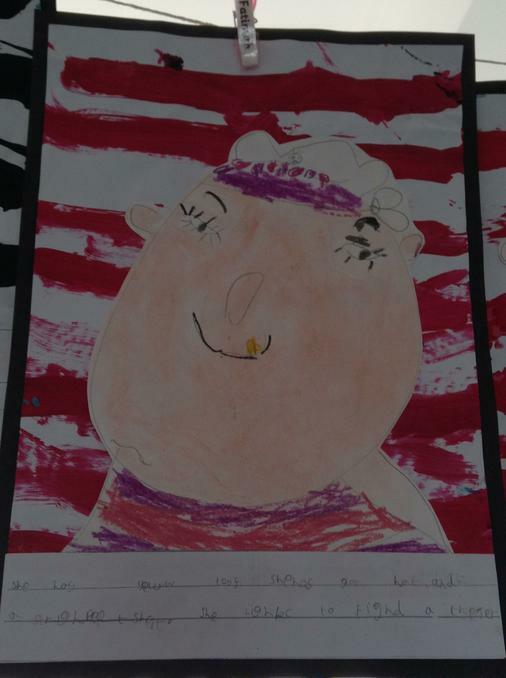 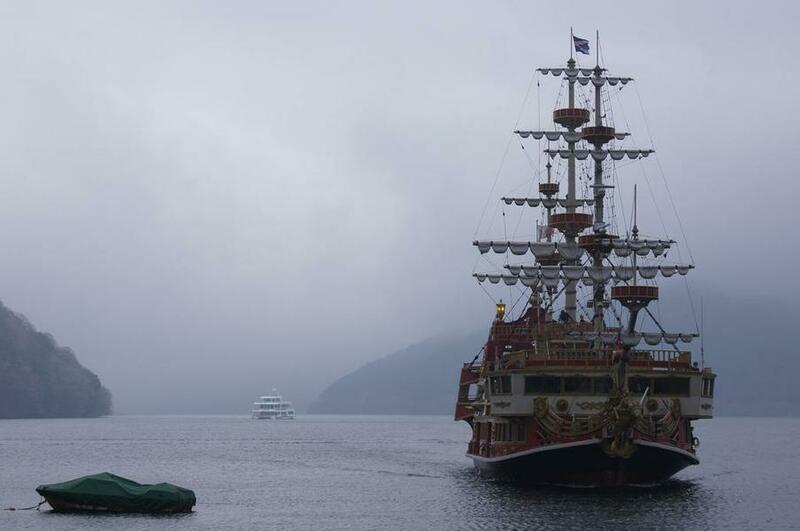 Pirates wore earrings as they believed it made their sight better Pirates wore an eye patch to get their eyes used to seeing in the dark The Captain wore colourful expensive clothes Pirates wore hats with their emblem the 'Jolly Roger'. 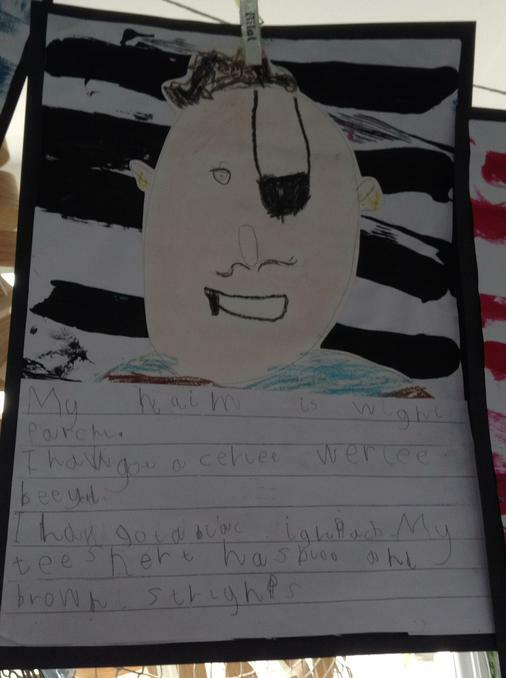 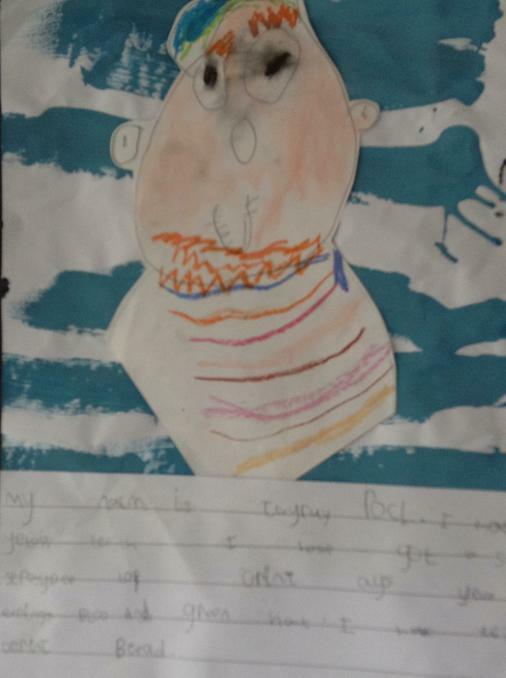 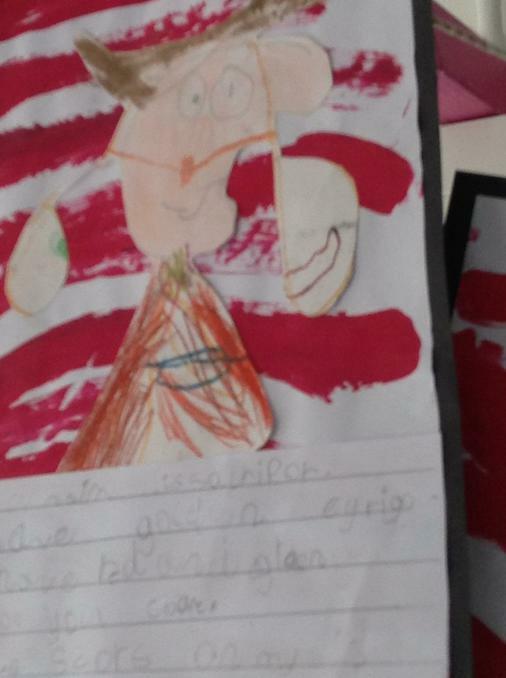 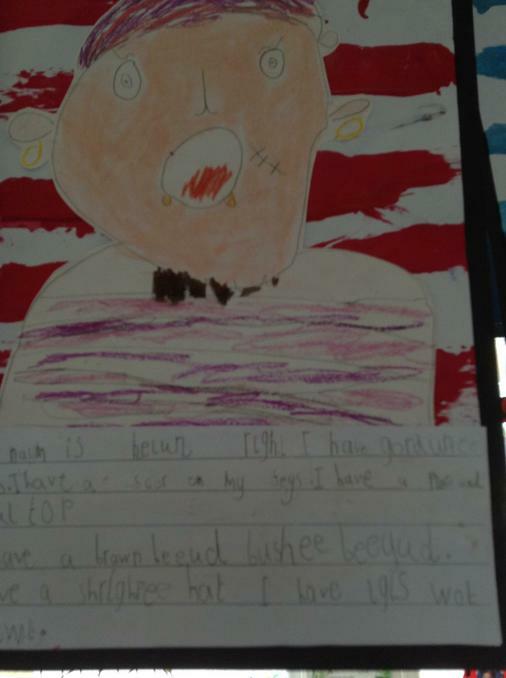 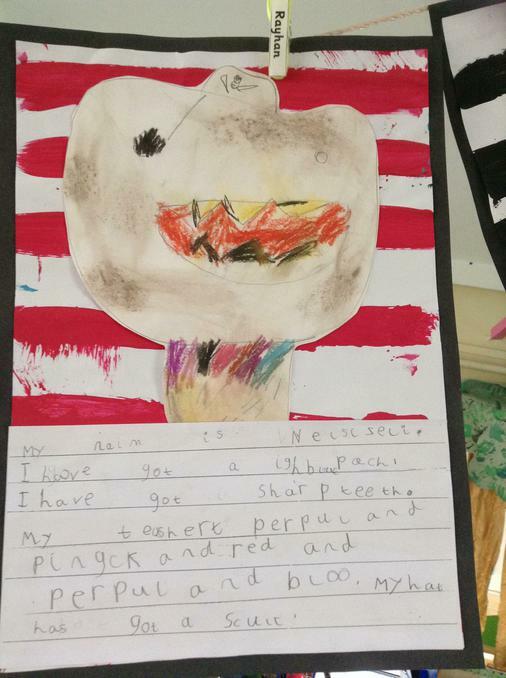 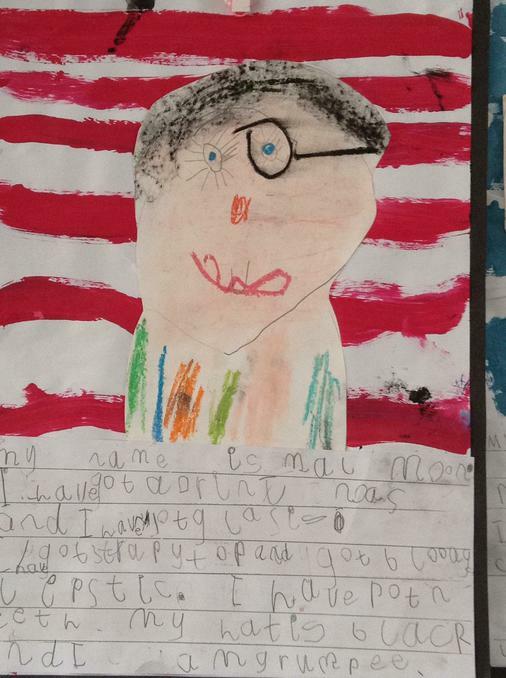 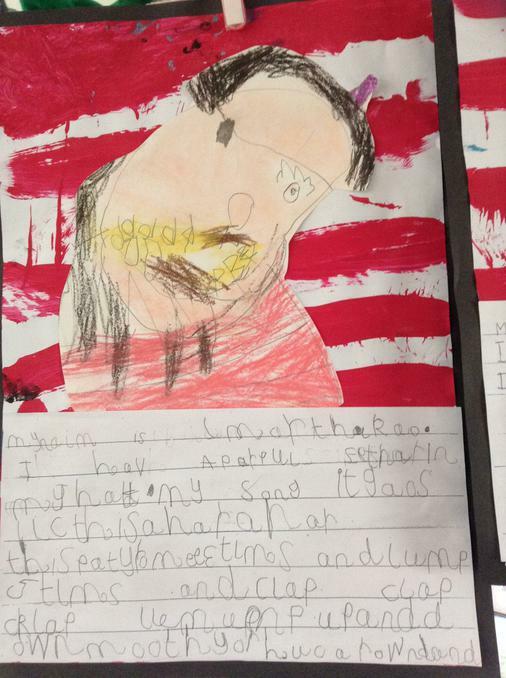 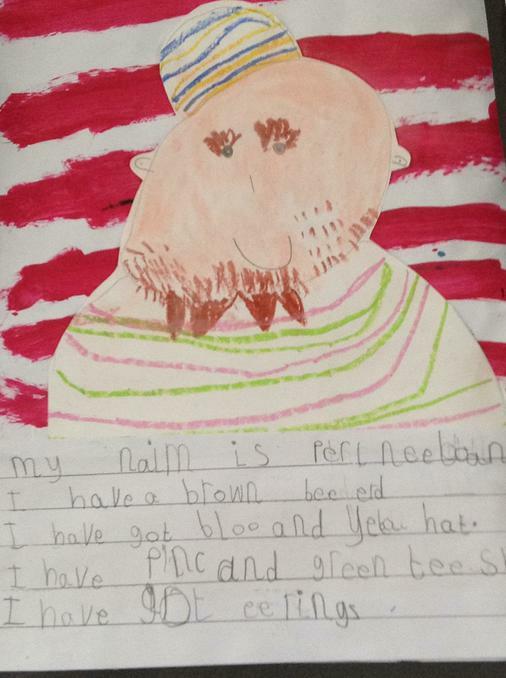 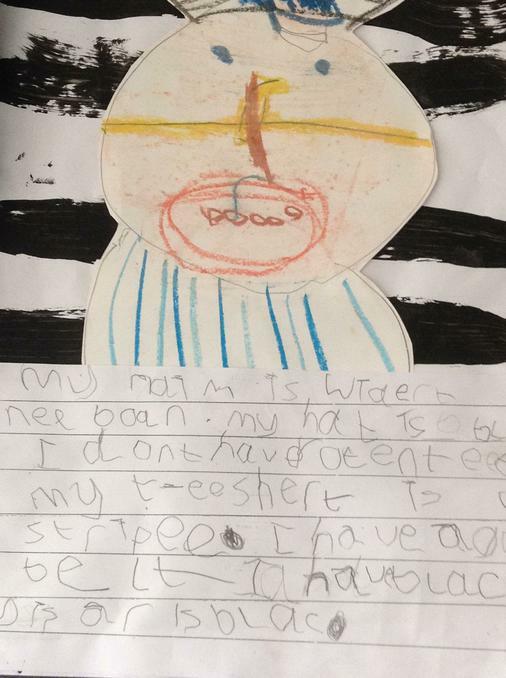 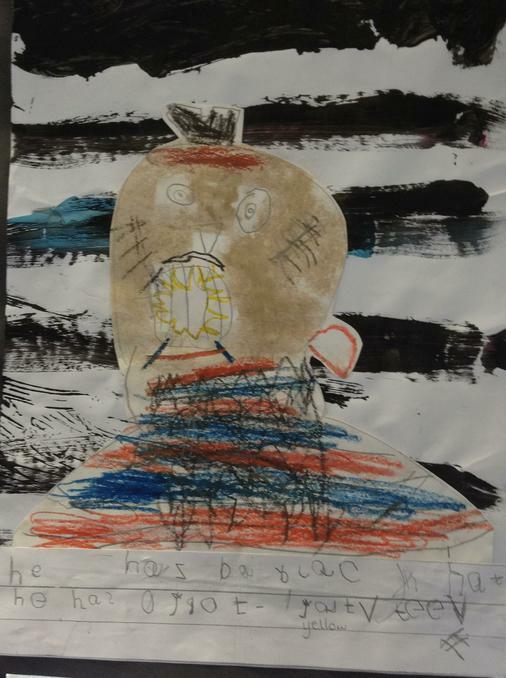 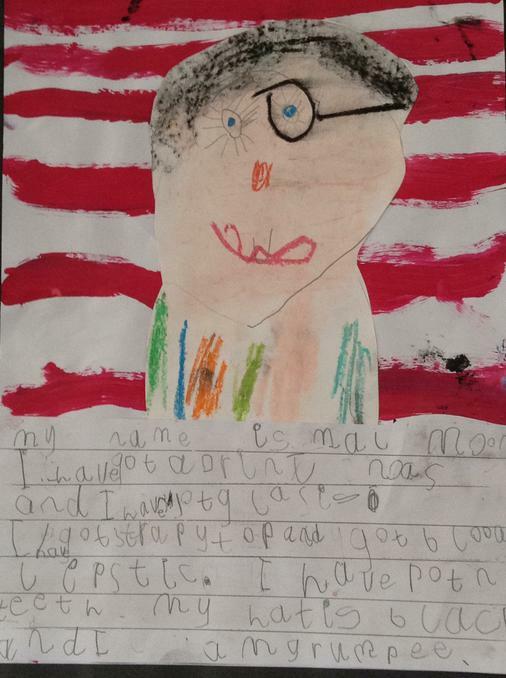 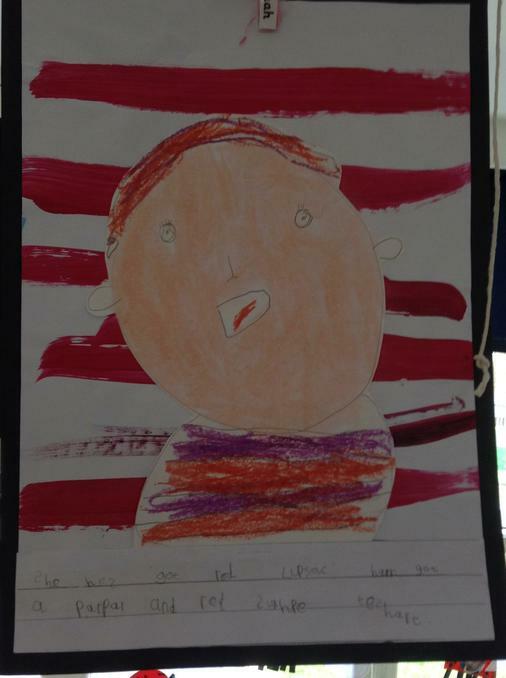 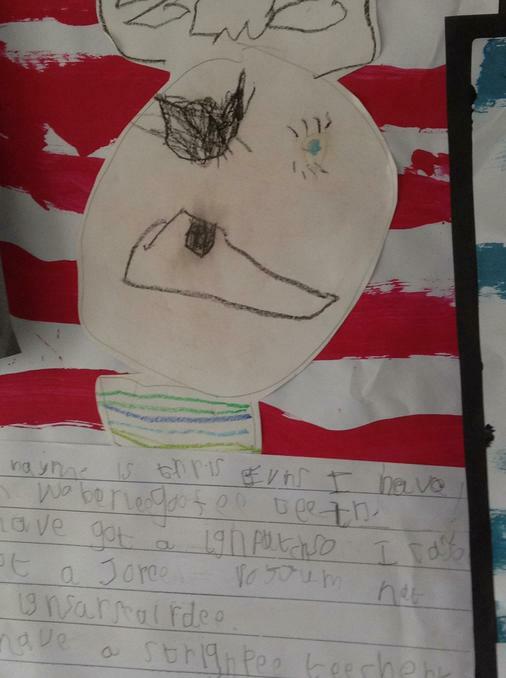 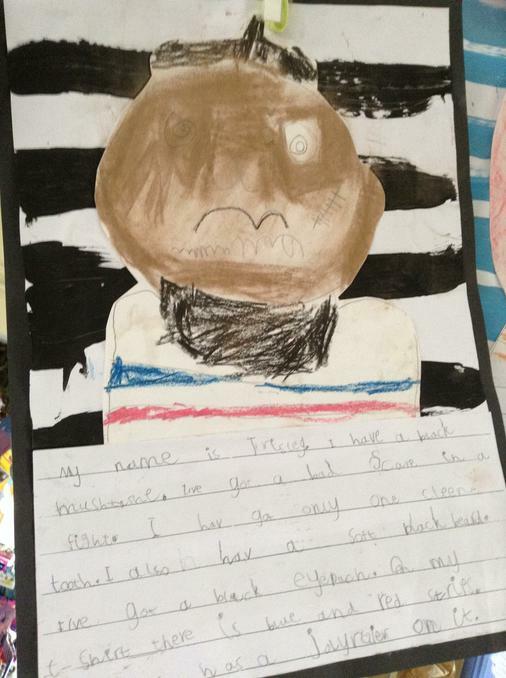 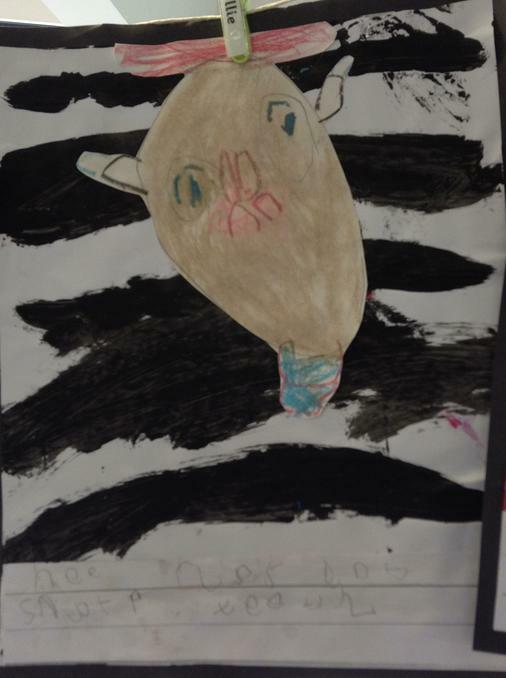 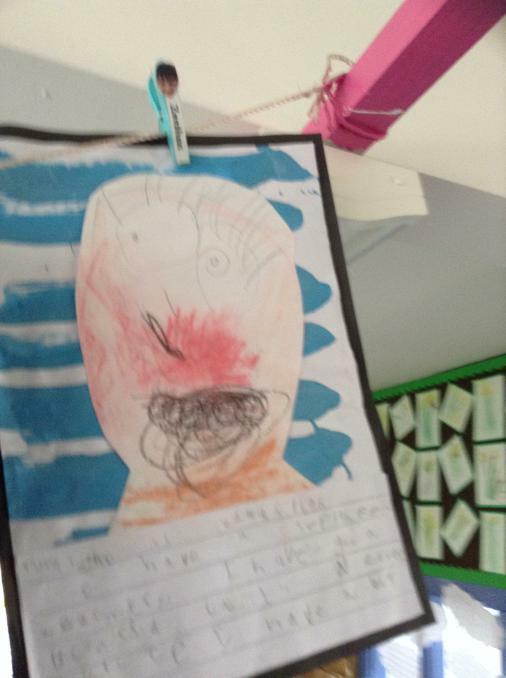 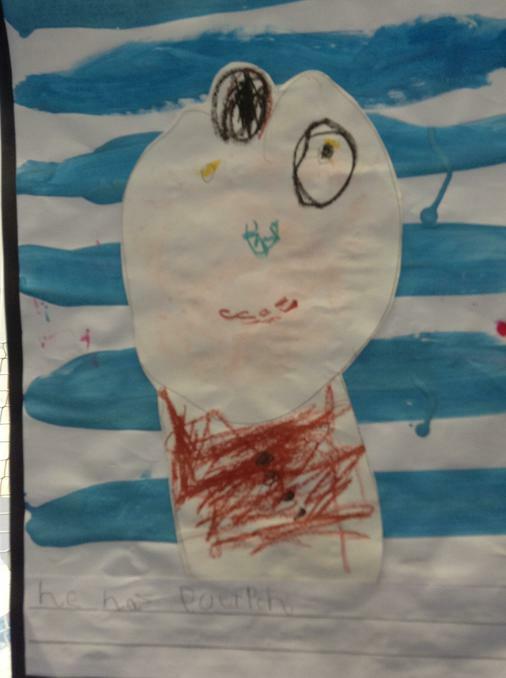 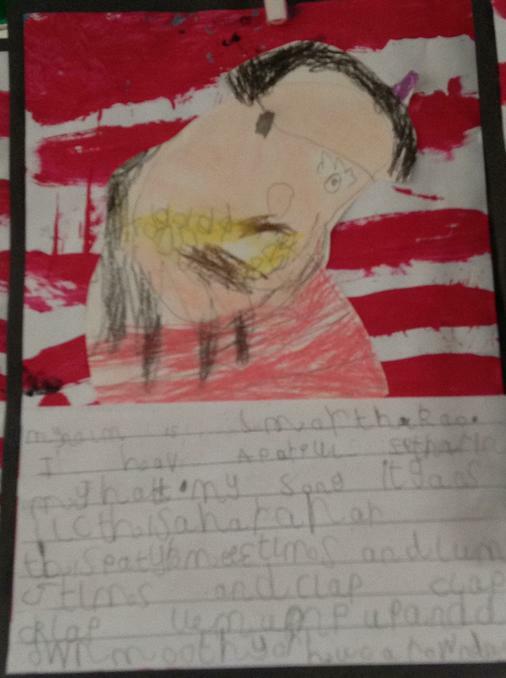 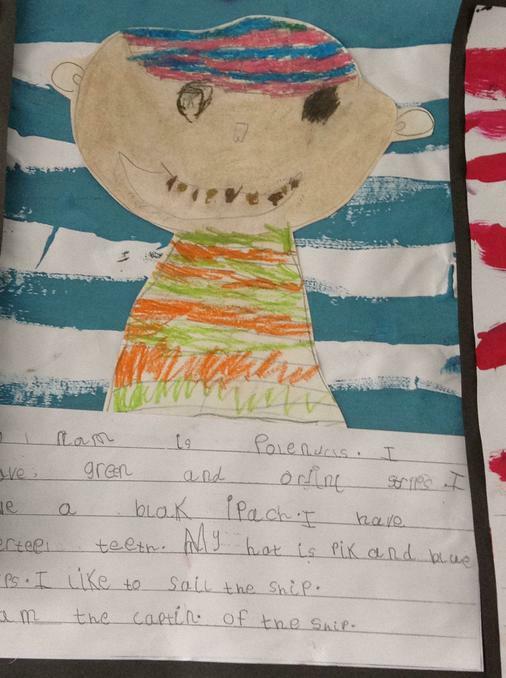 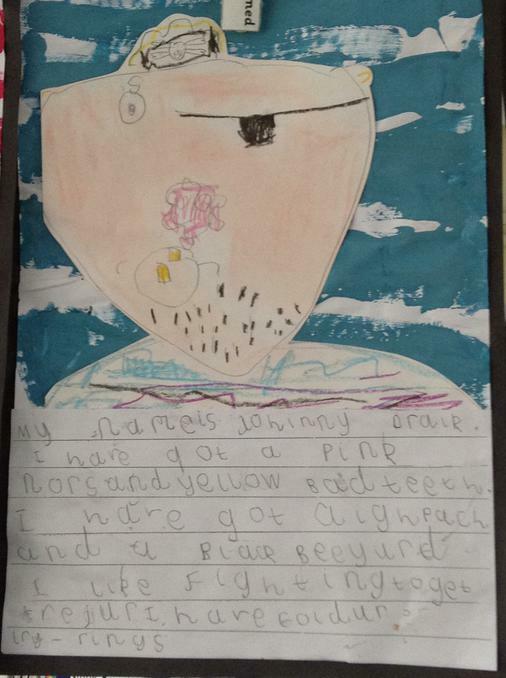 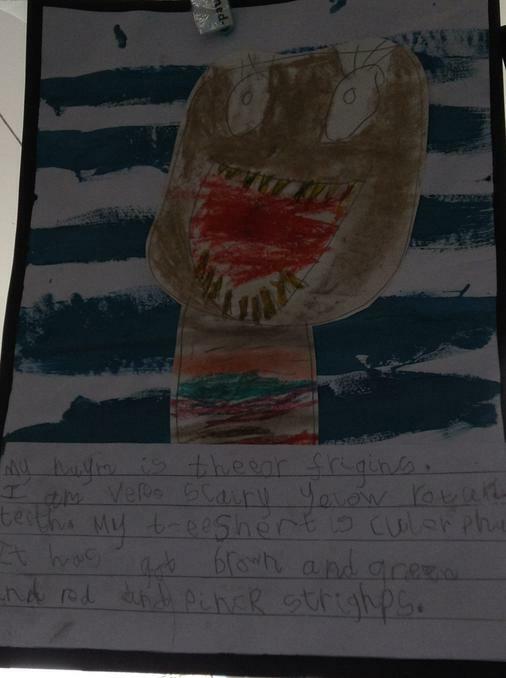 We drew our own pirates and wrote a description. 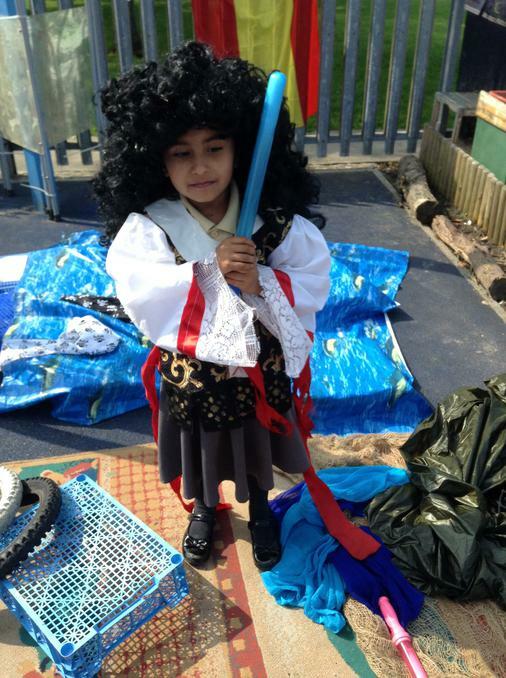 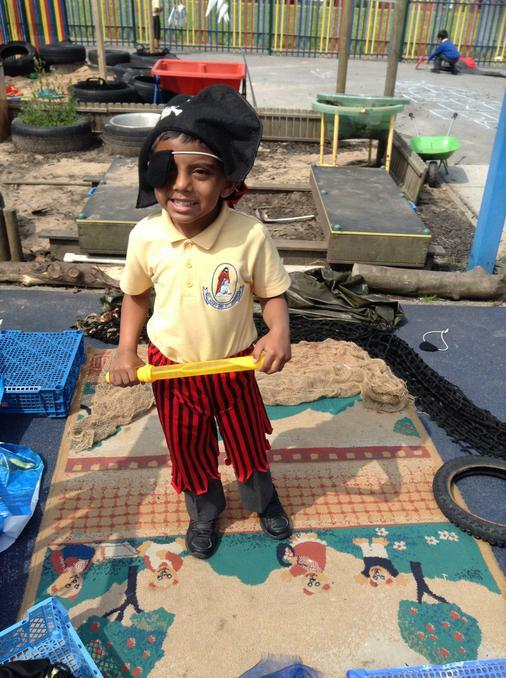 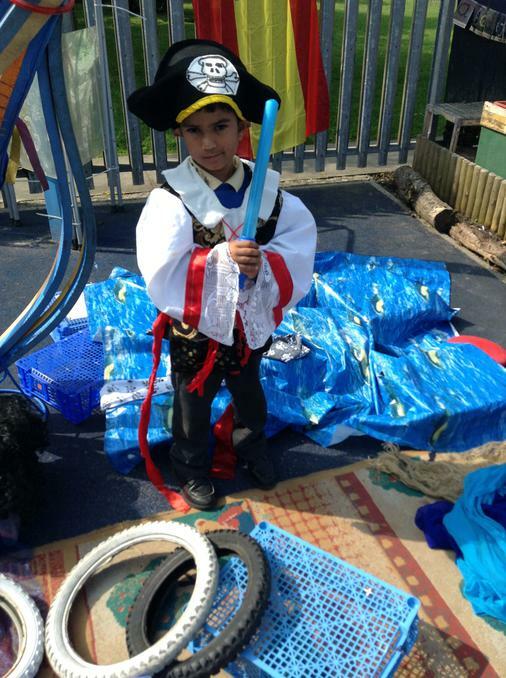 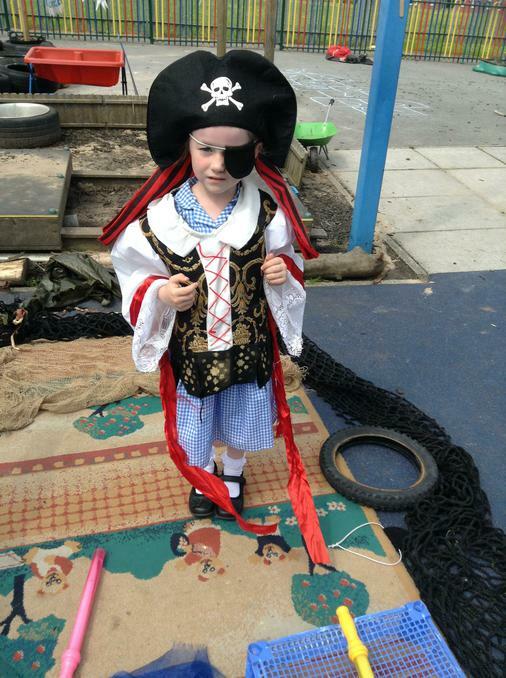 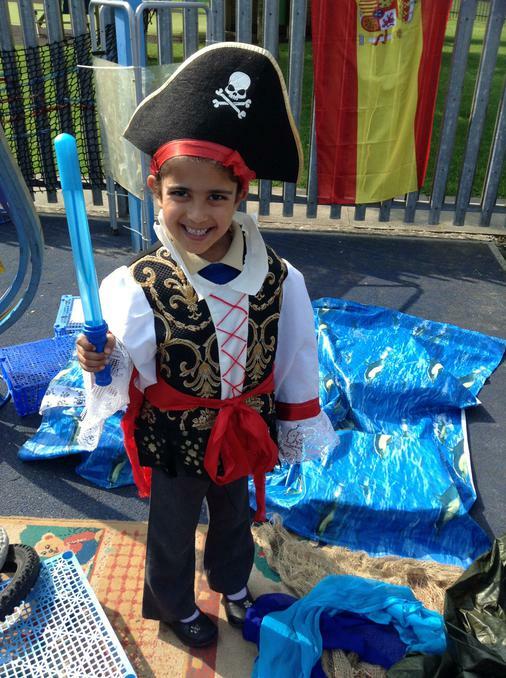 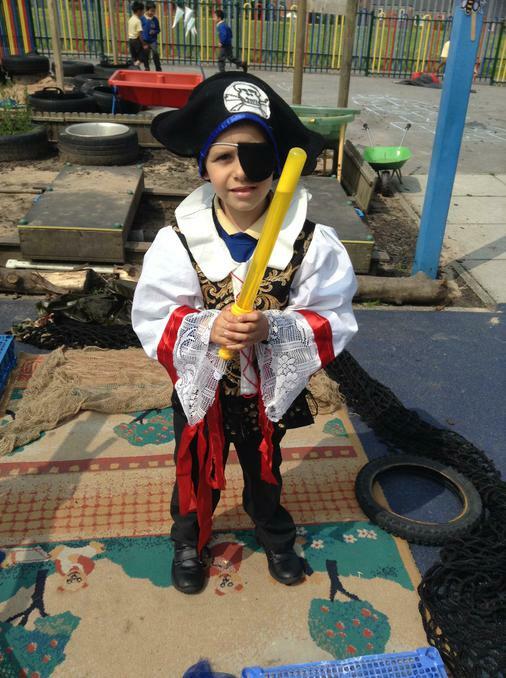 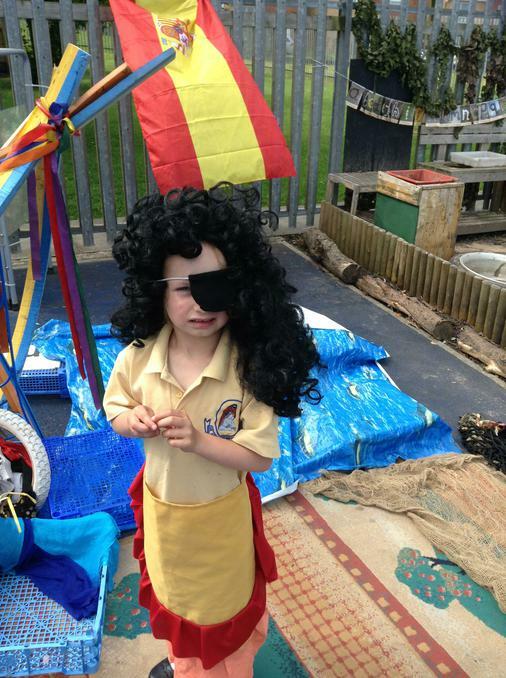 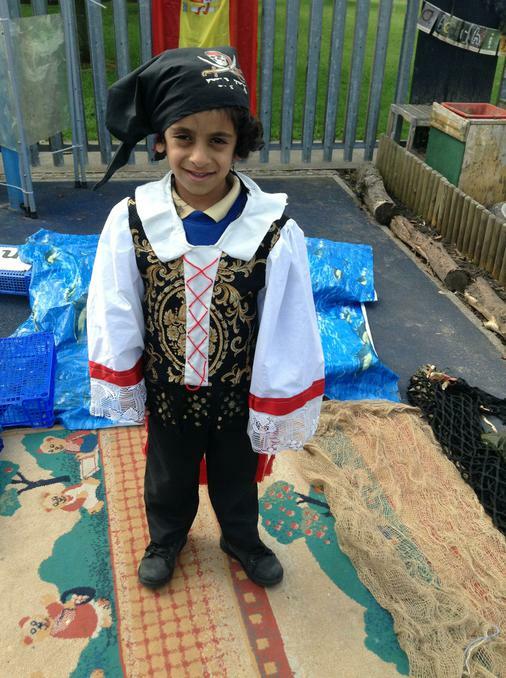 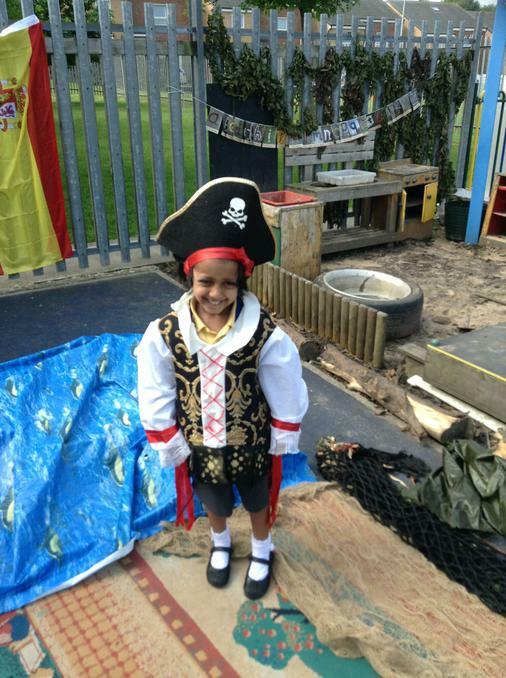 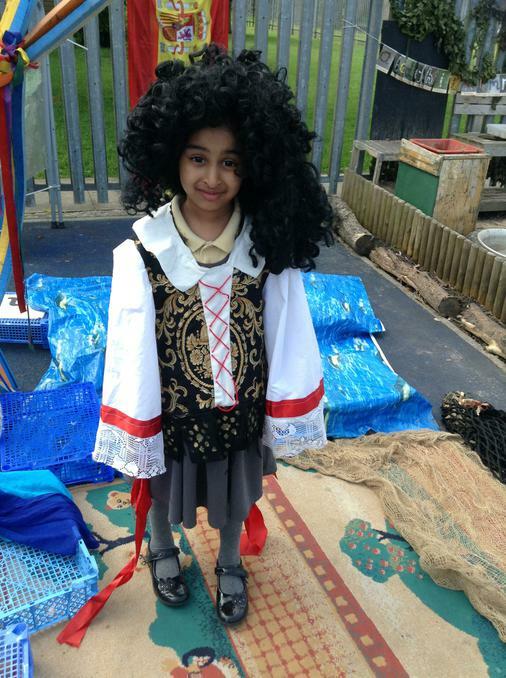 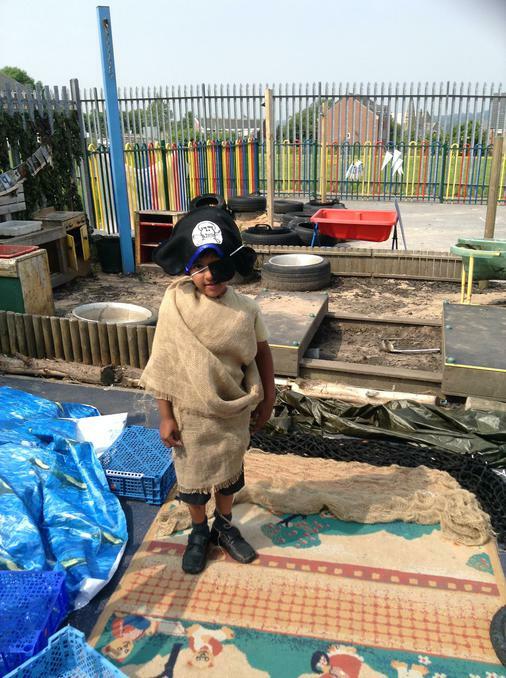 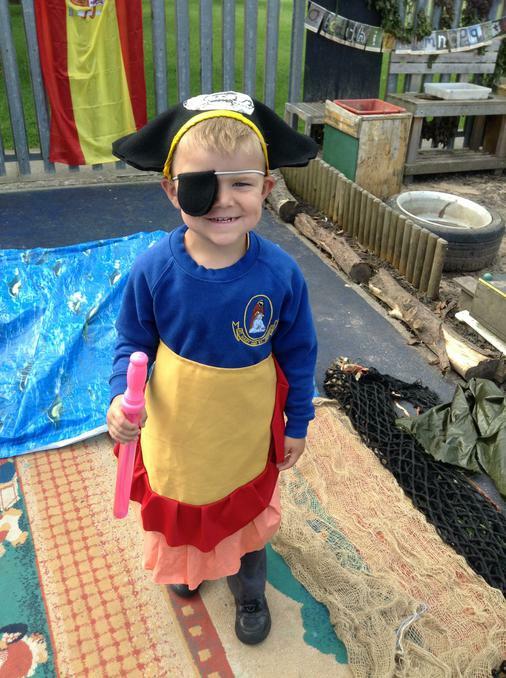 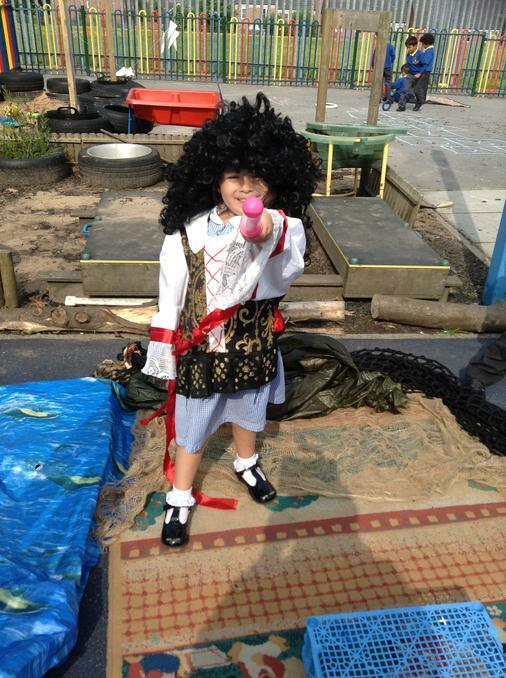 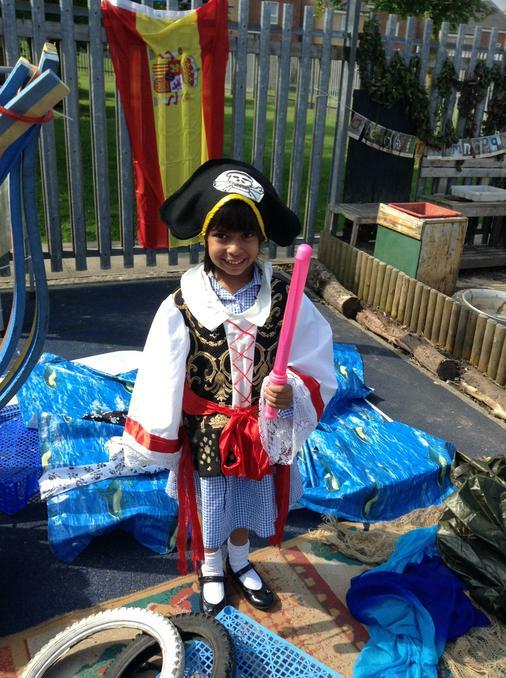 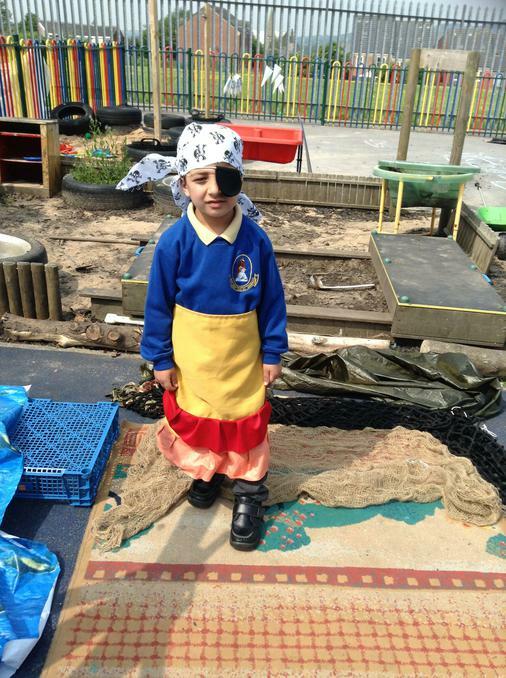 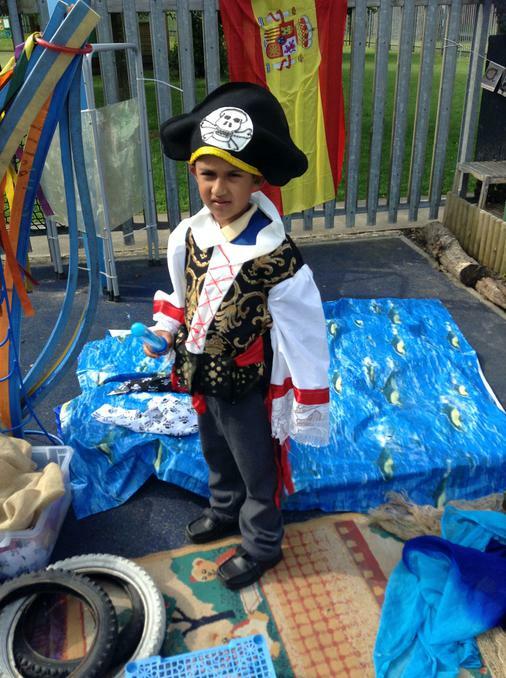 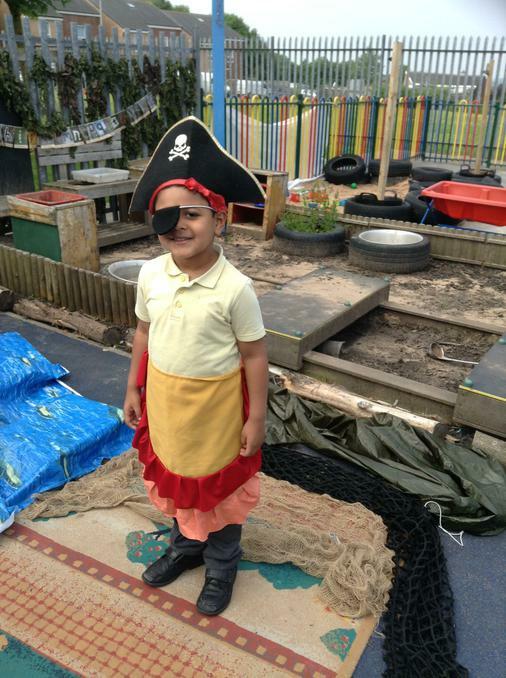 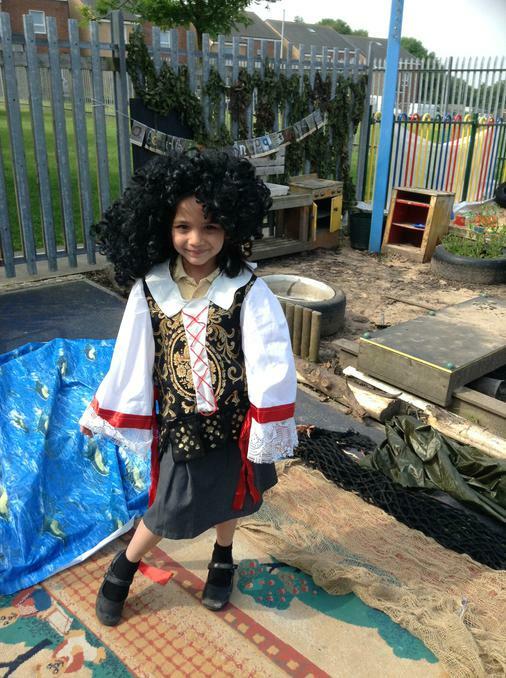 We have enjoyed dressing up and making up our own pirate stories. 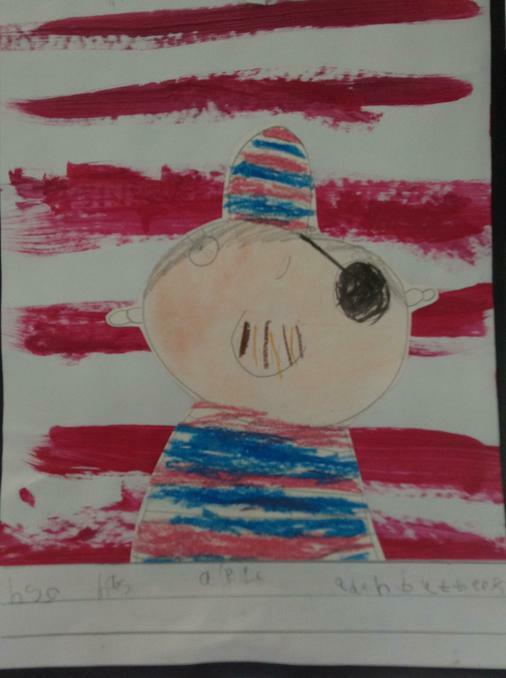 and creating pirates on the computer. 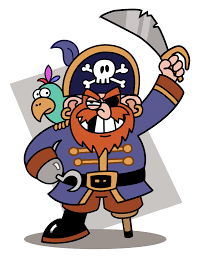 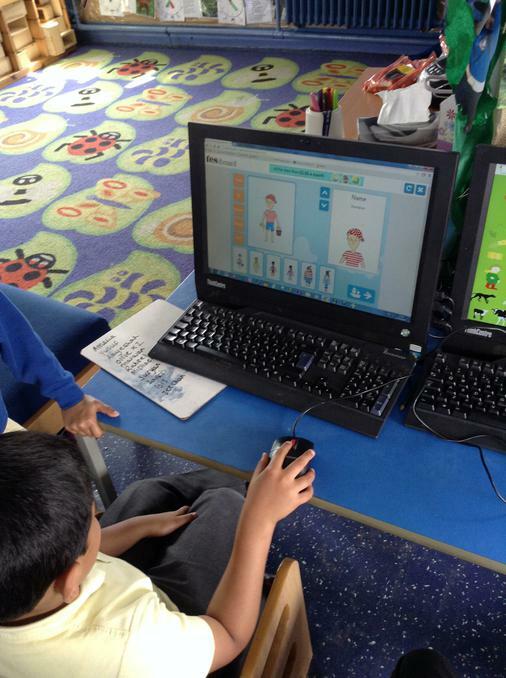 Use the website link below to have a go at making pirates on your computer at home. 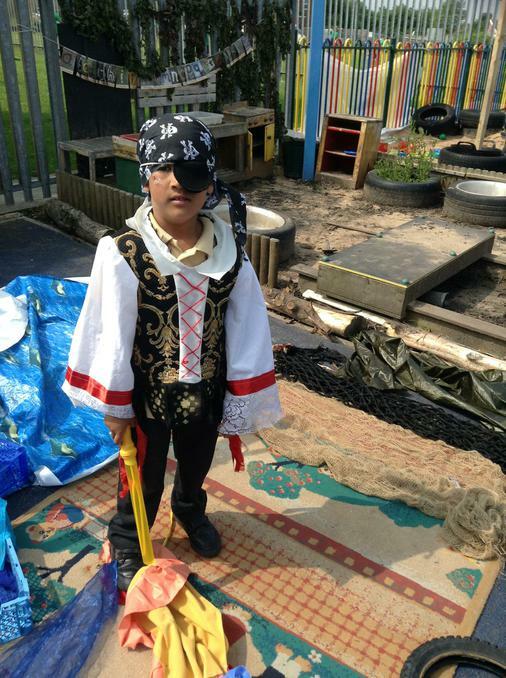 Make a pirate Online game where you can design your own pirate outfit. 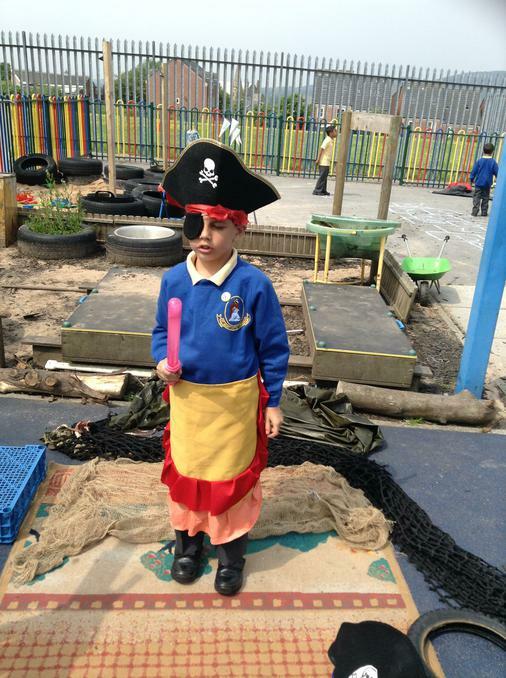 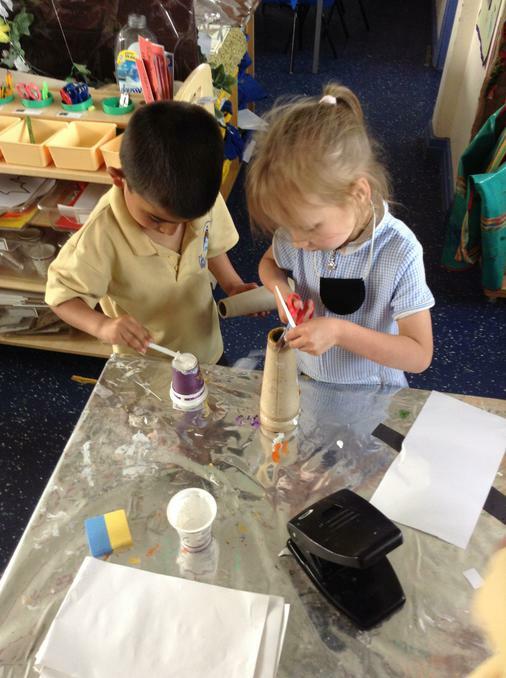 We have been finding out about pirate ships. 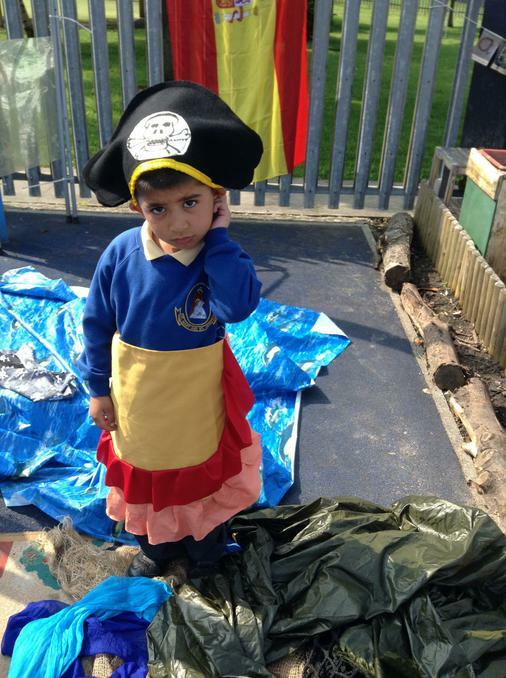 We learnt about the different parts of the ship. 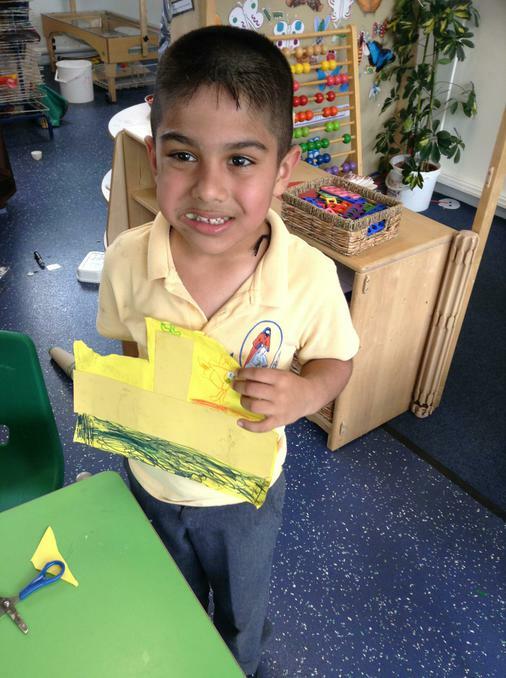 We matched the labels to the correct parts of the ship then added the captions to match the labels. 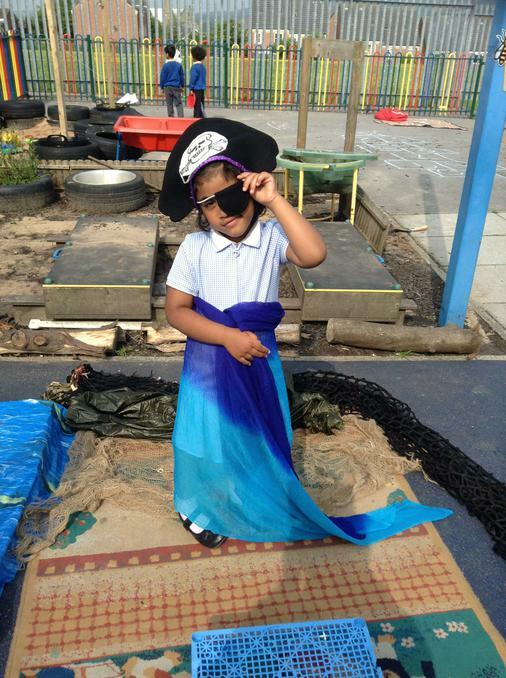 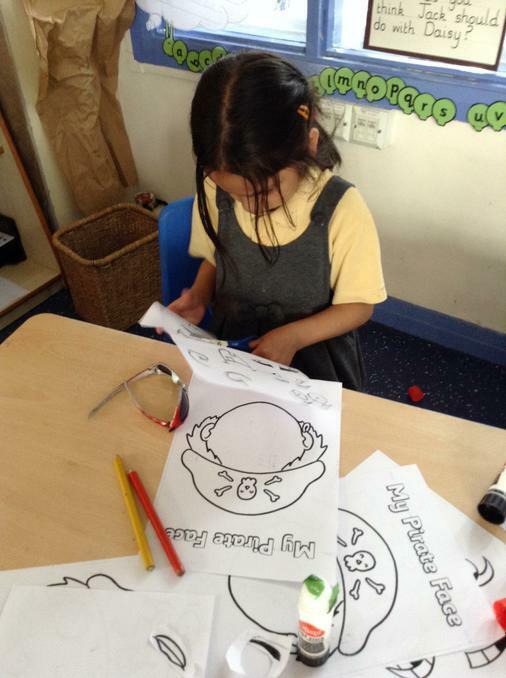 We used this information to create our own pirate ships. 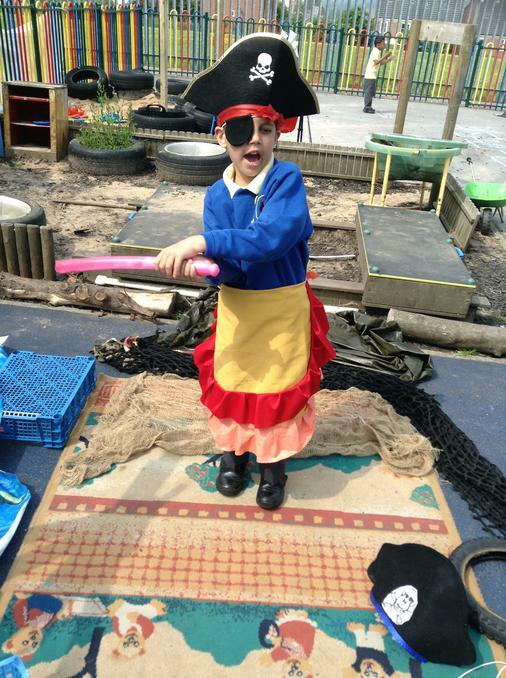 Then the fun began as we made up our own stories and became pirates, captains, dragons and more!